Nothing else than the UK version of the 2nd generation Spelling B. 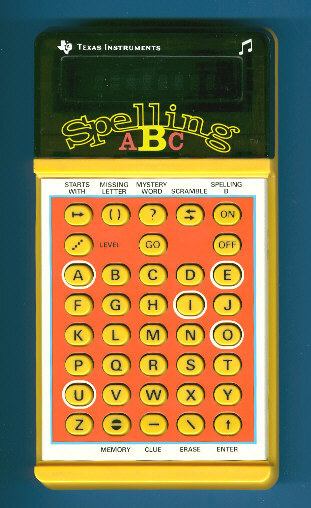 The printed circuit board (PCB) and electronic of this Spelling ABC (UK) is identical with the US Spelling B manufactured mid of 1980. We noticed an earlier Spelling B (UK) manufactured in March 1980 using a different architecture. In Germany the Spelling B got another language ROM and a slightly different design. Explore the Spelling ABC.